South Grove – Quality eye care for you and your family. Regina Harvey, O.D. | Abbey Hoffman, O.D. Applying our education, experience and access to the resources needed to prescribe eye care procedures and products to meet your vision needs. 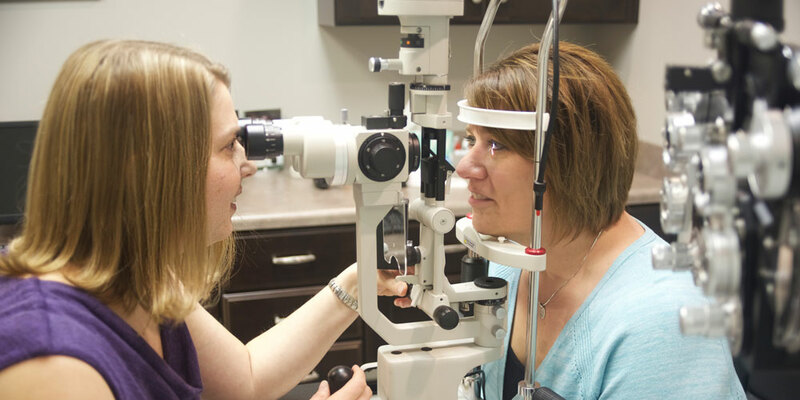 Taking the time and effort to give thorough eye examinations is essential to the care we provide. Responding to your questions as you ask them and following up with you if more research is needed to respond accurately and completely. Providing quality service, which begins the first time you visit our office. We value our patients and strive to build long-term relationships with them. South Grove Eye Care works directly with Anthem, Davis, EyeMed, Medicare, Spectera and VSP insurance providers to serve your optometry needs. If your provider is not listed above, please contact us to discuss additional payment arrangements. We are using a new, secure program that enables you to text us if you prefer. If you are unable to call or texting is more convenient, send us a message to schedule an appointment, order more contacts, or ask us a question. You can still call the number, too! Do you get anxiety over the air puff? We don’t do that here! 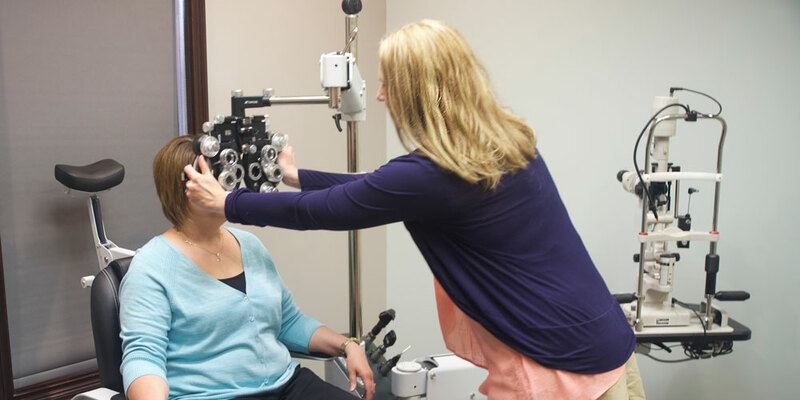 We have 2 different testing methods, one of which just touches the outside of your eyelid. Bye bye puff! Are your eyes always red, itchy and irritated? We are focusing our efforts on treating dry eye a little differently. South Grove Eye Care is dedicated to make your eyes feel better. One new promising treatment is a BlephEx procedure. You can check out a video on the company’s website at www.rysurg.com.